Guess who broke Kylie Jenner's Instagram record 'egg'cellently! Wondering why most of your peeps on Instagram are sharing a picture of an egg in their stories? Here's the story behind it. We still are not sure whether egg came first or the chicken, but here we have a winner for the most liked picture on Instagram and it's nothing but an egg. 'Egg'cellent job guys! 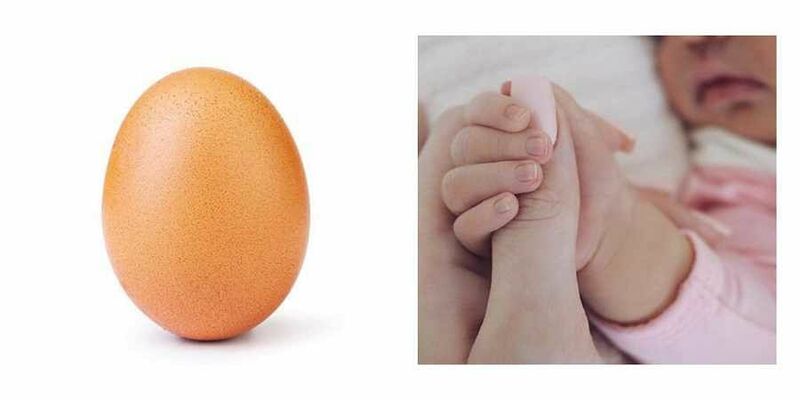 What started as an anonymous account (@world_record_egg) with just one post of an egg, has now managed to get over 22 million likes on the picture, breaking Kylie Jenner's world record. The 'Egg gang' posted the picture on January 4th, 2019. However, the post went viral and on January 13th, it became the most liked picture of all time on Instagram. Yes, you read it right. It's an egg which holds the record now. Earlier, Kylie Jenner's Instagram post on Stormi webster held the record of the most liked picture on Instagram with 18.2 million likes. Sorry Kylie, thank you, next. Now, the Instagram account bio reads 'where's our blue tick?' The egg post now has 22.6 million likes on it with 920K comments. Crazy right? Anyway, we now certainly know that the egg came first!